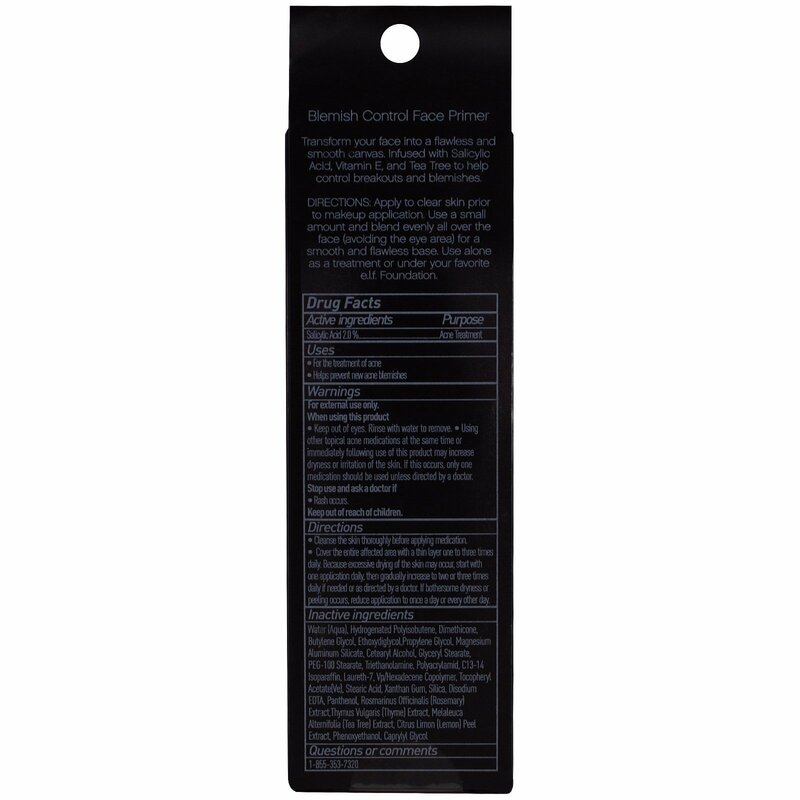 Fills in fine lines and helps control blemishes. Transform your face into a flawless and smooth canvas. 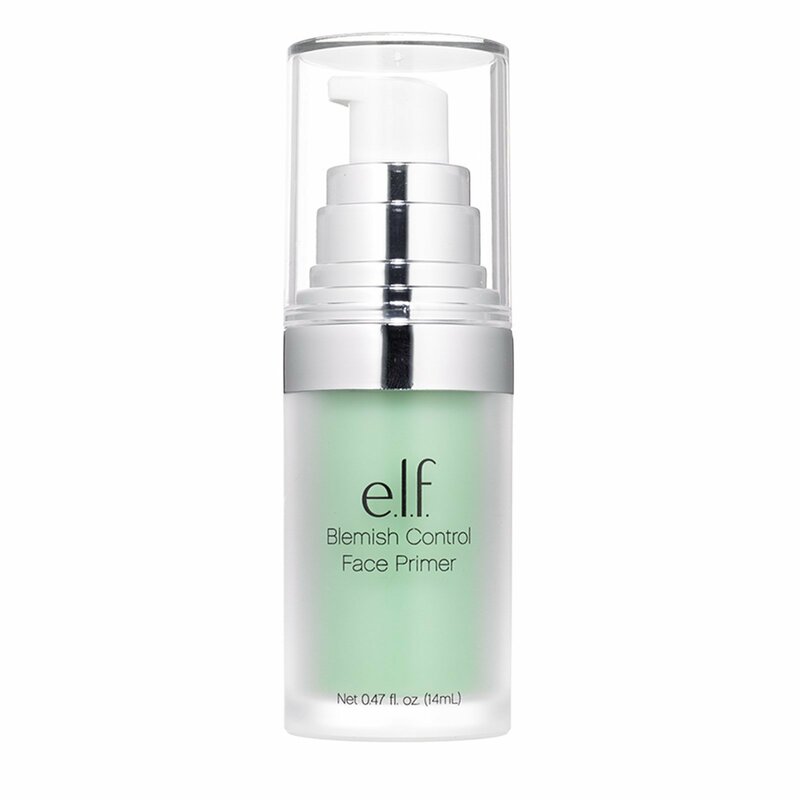 Infused with Salicylic Acid, Vitamin E, and Tea Tree to help control breakouts and blemishes. Apply to clear skin prior to makeup application. Use a small amount and blend evenly all over the face (avoiding the eye area) for a smooth and flawless base. Use alone as a treatment or under your favorite e.l.f. Foundation. Cover the entire affected area with a thin layer one to three times daily. Because excessive drying of the skin may occur, start with one application daily, then gradually increase to two to three times daily if needed or as directed by a doctor. If bothersome dryness or peeling occurs, reduce application to once a day or every other day. Inactive Ingredients: Water (aqua), hydrogenated polyisobutene, dimethicone, butylene glycol, ethoxydiglycol, propylene glycol, magnesium aluminium silicate, cetearyl alcohol, glyceryl stearate, PEG-100 stearate, triethanolamine, polyacrylamid, C13-14 isoparaffin, laureth-7, Vo/hexadecene copolymer, tocopheryl acetate (Ve), steatic acid, xanthan gum, silica, disodium EDTA, panthenol, rosmarinus officinalis (rosemary) extract, thymus vulgaris (thyme) extract, melaleuca alternifolia (tea tree) extract, citrus limon (lemon) peel extract, phenoxyethanol, caprylyl glycol.